Actualites Archives - Page 6 of 6 - Africa M.E. 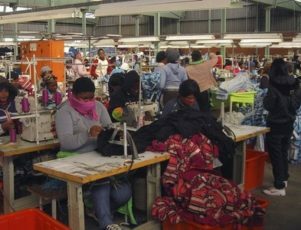 JOHANNESBURG, Dec 5 (Reuters) – South African private sector activity slowed in November as new orders and output fell, a survey showed on Tuesday. “Lower underlying demand formed the basis for the decline as new orders fell at the quickest pace observed since early 2016. This led output to fall, and at a faster rate than that noted in the previous month,” IHS Markit said in a statement. South Africa’s economic gloom has been compounded by allegations of corruption in state-owned companies and of influence-peddling in government that have hurt investor confidence. The ruling African National Congress will this month elect a successor to President Jacob Zuma as party chief, adding to the climate of uncertainty. delayed production and consumption decisions,” Standard Bank economist Kim Silberman said. 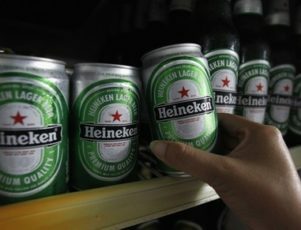 JOHANNESBURG (Reuters) – Heineken will open a $100 million brewery in Mozambique, its first production facility in the southern African nation, the brewer said on Monday. The world’s second-largest brewer plans to start production at the 0.8 million hectoliters capacity plant in the capital Maputo in the first half of 2019, it said in a statement. Heineken, which also brews Amstel and Sagres, opened a marketing office in Mozambique last year, importing products to compete in a market where AB Inbev’s 2M is entrenched. AB Inbev last year took over SABMiller, gaining a brewery in Mozambique among a host of assets worldwide. “We are delighted to enter Mozambique, where we see promising long-term economic perspectives,” said Heineken’s managing director for East and West Africa Boudewijn Haarsma. Heineken built a brewery in neighbouring South Africa less than a decade ago after ending a deal with SABMiller for brewing Amstel beer. DAR ES SALAAM (Reuters) – Tanzania’s power utility said on Friday it had started to restore electricity to parts of the country after the East African nation was hit by a country-wide blackout on Thursday morning. “Efforts are ongoing to make sure that power supply is restored to all parts of the country,” the state-run Tanzania Electric Supply Company (TANESCO) said in a statement. TANESCO apologised for the power outage, but did not explain what caused a “technical glitch” in the national power grid that left the region’s No. 3 economy in a blackout that lasted more than 12 hours on Thursday. Power was restored in many parts of commercial capital Dar es Salaam late on Thursday. TANESCO said it had also restored electricity in the administrative capital Dodoma, as well as Iringa region in the centre and Tanga in the north east. Partial blackouts occur regularly in Tanzania, which relies on hydro, natural gas and heavy fuel oil to generate electricity. Many businesses use power generators as backups, pushing up their operating costs. Tanzania’s energy infrastructure has suffered from decades of underinvestment, neglect and corruption allegations, and investors have long complained the lack of reliable power hurts business there. President John Magufuli is pushing a major hydropower project at Stiegler’s Gorge in the UNESCO-designated Selous Game Reserve to help tackle chronic electricity shortages. The project would more than double the country’s current power generation capacity of around 1,500 megawatts (MW). The government has not said how much the project would cost or how it would raise financing, but wants it completed within three years. Tanzania aims to boost power generation capacity to 10,000 MW over the next decade by also using some of its vast natural gas and coal reserves. 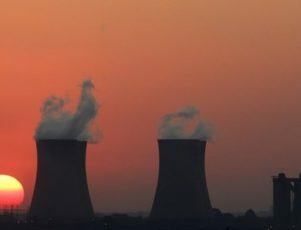 JOHANNESBURG (Reuters) – South African utility Eskom said on Thursday rolling power cuts are unlikely despite coal supply possibly falling below a 20-day requirement at its Hendrina power station. On Thursday investigative news outfit AmaBhungane reported Eskom may be forced into nationwide electricity cuts after a coal mine linked to the Gupta family threatened to halt supply. Eskom has been at the heart of allegations of illegal contracts and undue influence in awarding tenders to the Gupta family, friends of South African President Jacob Zuma. Spokesman Khulu Phasiwe confirmed Eskom had held an emergency meeting last Friday to determine whether strategic coal stockpiles at Hendrina and other stations were sufficient after Tegeta Exploration and Resources threatened to halt supply to Hendrina. Coal supply at Eskom’s power stations stood at 74 days’ worth in March but had fallen to 25 days’ worth at Hendrina by October and may have fallen below a 20-day requirement since, Phasiwe said. He told Reuters the company was investigating whether supply at all its 12 power stations complied with regulations requiring at least 20 days’ worth. South Africa had regular power cuts between 2008 and 2015, hitting key industries and knocking economic growth as demand exceeded capacity. Quoting sources, AmaBhungane alleged that Tegeta has been exporting coal from its Optimum Coal Mine while limiting supply to Eskom. 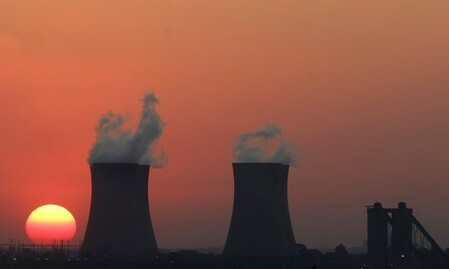 “If it happens that for some reason they are unable to supply us with coal then clearly it means that they would have breached the contract and therefore it becomes a legal matter,” Eskom’s Phasiwe said. A spokeswoman for Tegeta parent company Oakbay, founded by the Gupta family as its main investment vehicle in South Africa, said the company would likely comment on Friday. The family agreed in August to sell Tegeta but the sale has not been finalised. The Guptas are accused of using their links with the 75-year old Zuma to wield influence and win state contracts. Zuma and the family both deny any wrongdoing. 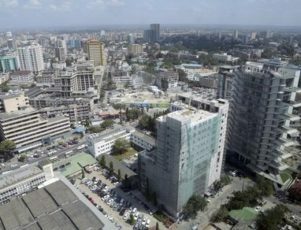 NAIROBI (Reuters) – Kenya is cutting night-time electricity tariffs for manufacturers by half to entice investors and boost economic growth and job creation, a top ministry of energy official said on Wednesday. The East African nation charges firms 15.70 shillings ($0.1522) per kilowatt hour, which is seen as uncompetitive compared with other African nations such as Ethiopia, South Africa and Egypt. Joseph Njoroge, the principal secretary in charge of electricity at the ministry, said the reduction will apply from 10 pm to 6 am every day to boost usage of electricity when most households and businesses shut down. “It is about, how do we create jobs for our people? How do we grow as a country? How do we move from an agro-based to an industrial-based country so that we can be able to enhance our GDP,” he told Reuters on the sidelines of an energy conference. During his inauguration for a second term, President Uhuru Kenyatta said he planned to increase the share of manufacturing to annual economic output to 15 percent from 9 percent. 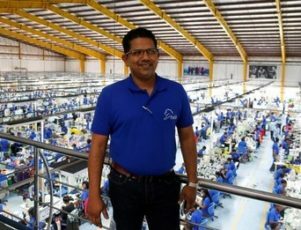 The government has been trying to boost investments in the sector in recent years with modest success, including the opening of light vehicle assembly plants by Peugeot and Volkswagen. Taxes account for about a third of electricity tariffs and Njoroge said they will consider whether some of the charges can be reduced. Kenya has an installed electricity capacity of 2,336 megawatts (MW) with maximum demand of 1,727 MW, Njoroge said. It has increased the share of the population with access to electricity to 70 percent in the last four years from 30 percent. HARARE (Reuters) – Robert Mugabe’s 37-year rule may be over, but a culture of political fawning by the Zimbabwean state media and fear of those in authority still flourishes. The Herald newspaper and the Zimbabwe Broadcasting Corporation – state and ruling ZANU-PF party mouthpieces – routinely heaped lavish praise on the 93-year-old Mugabe and his wife Grace in sycophantic articles and commentaries. With the sudden change of guard, Zimbabwe’s official media is having a hard time shaking off old habits and is now tailoring its eulogies to fit Emmerson Mnangagwa, Mugabe’s successor. State radio intersperses programmes with martial music from the war of independence in honour of Mnangagwa’s war veteran allies and the army. One morning talk show host spoke glowingly on Tuesday of seeing the presidential motorcade at 0645 GMT. This, he said, signalled the new leader was keeping his word to hit the ground running. “The president is showing the way so get to work on time,” he said. 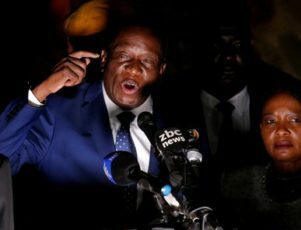 Mnangagwa, 75, a close Mugabe ally for several decades, took power after the military takeover on Nov. 15 following a succession battle that split the ruling ZANU-PF party. “Comrade Emmerson Dambudzo Mnangagwa, (is) a true son of the soil who sacrificed his entire life to serving Zibmabwe as evidenced by the role he played in the liberation struggle as well as after independence up to this day. We are blessed to have you as our leader,” an advertisement by the ministry for women affairs, gender and community development gushed in the Herald. Not all within the ruling party are comfortable with the trend though. Justice Wadyajena, a Mnangagwa admirer and outspoken ZANU-PF parliamentarian, reminded his Twitter followers of the dangers of personality cults. “Those falling all over each other pledging loyalty to President ED are just brutes playing meek,” Wadyajena wrote, referring to Mnangagwa by the initials of his first and middle names. Mnangagwa, who served Mugabe loyally for 52 years, is expected to form a new cabinet this week. Zimbabweans are watching to see if he breaks with the past and names a broad-based government or selects figures from the Mugabe era’s old guard. 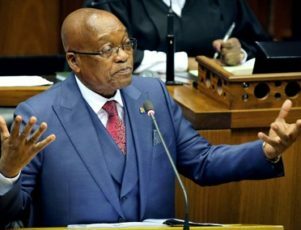 JOHANNESBURG (Reuters) – South African President Jacob Zuma called for concrete measures to boost growth after S&P Global Ratings downgraded the local currency debt to sub-investment grade, while foreign currency debt was pushed deeper into “junk” territory. The rand recovered on Monday from steep falls suffered late on Friday after the downgrade, taking some relief from Moody’s decision to only place South Africa on review for downgrade. A cut to “junk” on the local currency debt by both S&P and Moody’s could have seen South African debt lose its place in Citi’s World Government Bond Index (WGBI), the biggest of the global benchmarks and tracked by about $2-3 trillion of funds. Zuma directed Finance Minister Malusi Gigaba on Monday to finalise proposals for expenditure cuts amounting to 25 billion rand ($2 billion) and revenue boosting measures totalling 15 billion rand – including through taxes. 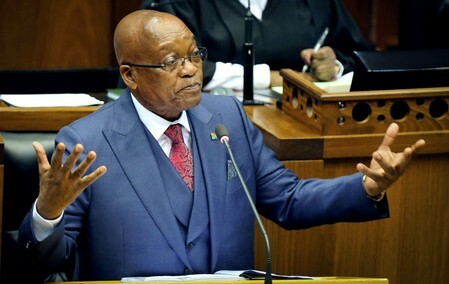 A proposal by a presidential commission to introduce free higher education should also be implemented in a “fiscally-sustainable manner”, the statement from Zuma’s office said. Gigaba in October unveiled a gloomy outlook for the economy as he flagged weaker growth expectations, wider budget deficit estimates and rising government debt. Both S&P and Moody’s cited deterioration in South Africa’s economic growth prospects and public finances. As of 1527 GMT, the rand was trading at 13.7625 per dollar, 2.86 percent firmer than its New York close on Friday, when it had tumbled 2 percent following S&P’s announcement. “The market is finding some relief in the fact that Moody’s has chosen to give us basically till February before they change our rating, if they do change our rating,” said Shaun Murison, currency strategist at IG Markets. In fixed income, the yield for the benchmark government bond was down 9 basis points to 9.245 percent, also recovering after rising as much as 11 basis points earlier in the session. Moody’s said the review will allow it to assess the South African authorities’ willingness and ability to respond to the rising pressures through growth-supportive fiscal adjustments that raise revenues and contain expenditures. “The review period may not conclude until the size and the composition of the 2018 budget is known next February,” Moody’s senior analyst for South Africa, Zuzana Brixiova, said in a statement. Moody’s rates South Africa’s foreign and local currency debt on their lowest investment grade rung of Baa3. S&P’s decision will see South Africa excluded from the Barclays Global Aggregate index, whose inclusion criteria requires investment grade rating on its local currency debt from any two ratings agencies. Fitch already rates South African debt as “junk”, and affirmed the rating on Thursday. If nothing changes, the country will be downgraded to “junk” by all ratings agencies and the WGBI dream will be no more, at least for many a year, said Standard Bank chief trader Warrick Butler in a note. Falling out of the WGBI could have led to a larger sell-off in bonds, even though rising yields could present a buying opportunity for some yield-hungry investors. “If you look at some of the metrics the real yields are among the highest in EM, the domestic curve is extremely steep, the current account is in better place than it was three to four years ago and the rand is quite competitive against likes of (Russia’s) rouble or Brazilian real,” said London-based Paul Greer, senior trader at Fidelity International. Analysts said an exclusion from the Barclays index would lead to outflows of about $2 billion, compared with more than $10 billion if South Africa was to fall out of Citi’s WGBI. South African debt was dropped from one the widely used global bond indexes, the JPMorgan Emerging Market Bond Index Global in April after S&P and Fitch downgraded foreign currency debt to sub-investment grade. On the stock market, the Top-40 index was 0.35 percent lower at 53,810 while the broader all-share was down 0.28 percent at 60,157. 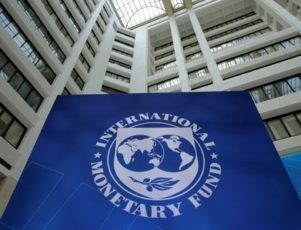 JOHANNESBURG (Reuters) – Zimbabwe’s economic growth is threatened by high government spending, an untenable foreign exchange regime and inadequate reforms, a senior International Monetary Fund (IMF) official said. Zimbabwe was once one of Africa’s most promising economies but suffered decades of decline as former President Robert Mugabe pursued policies that included the violent seizure of white-owned commercial farms and money-printing that led to hyperinflation. Mugabe, 93, resigned on Tuesday after nearly four decades in power following pressure from the military, the ruling ZANU-PF party and the general population. New ZANU-PF leader Emmerson Mnangagwa is expected to be sworn in as Zimbabwe’s president on Friday. Zimbabwe has not been able to borrow from international lenders since 1999 when it started defaulting on its debt, and has $1.75 billion rand in foreign arrears. “The economic situation in Zimbabwe remains very difficult,” Gene Leon, IMF’s mission chief for Zimbabwe said in a statement to Reuters late on Wednesday. 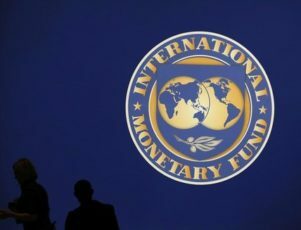 Leon said Zimbabwe should resolve arrears to the World Bank, African Development Bank and the European Investment Bank, among other reforms, for the IMF to consider future financing request from the country. Zimbabwe should also be ready to implement strong macroeconomic policies and structural reforms to restore fiscal and debt sustainability, Leon said. 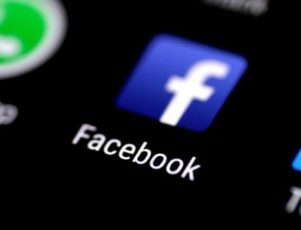 LAGOS (Reuters) – Facebook will open a “community hub space” in Nigeria next year to encourage software developers and technology entrepreneurs and become the latest technology giant to pursue a training programme in fast-growing Africa. The U.S. social media company said the centre would host an “incubator programme” to help develop technology start-ups, while it will also train 50,000 Nigerians in digital skills. Africa’s rapid population growth, falling data costs and heavy adoption of mobile phones rather than PCs is attracting technology companies looking to attract more users. Facebook did not provide details of the period over which its planned training would take place in Nigeria, which is Africa’s most populous country with 180 million inhabitants. “We understand the important role Facebook plays here in Nigeria with developers and start-ups and are invested in helping these communities,” Emeka Afigbo, its regional head of platform partnership, said in a statement on Wednesday. Facebook said the training – aimed at software developers, entrepreneurs and students – would be offered in cities including the capital, Abuja, Port Harcourt in the south, Calabar in the southeast and Kaduna in the north. Last year Facebook founder Mark Zuckerberg visited technology companies in Lagos and his charitable foundation provided $24 million to Andela, which trains developers. Although Africa may not offer as much opportunity to add consumers as China or India, because large wealth gaps mean that many people in places like Nigeria have little disposable income, Facebook said more than 22 million people already use its social media website every month in Nigeria. Widespread poverty means mobile adoption tends to favour basic phone models. That, combined with poor telecommunications infrastructure, can mean slow internet speeds and less internet surfing, which tech firms rely on to make money. LUSAKA (Reuters) – Zambia’s central bank governor said on Wednesday the delay in reaching a conclusion for an aid programme with the International Monetary Fund (IMF) was putting pressure on the kwacha currency. Zambia and the IMF agreed in October to chart a new path towards debt sustainability after the IMF delayed the conclusion of talks with Africa’s No.2 copper producer, saying it was at high risk of debt distress. “It is more of sentiment because the fundamentals point to continued appreciation,” central bank governor Denny Kalyalya told a media conference. The kwacha currency slid to 10.0850 per dollar on Wednesday from about 9.0000 three months ago and traders said it was due to increased dollar demand and short foreign currency supply.